Happy Wednesday! 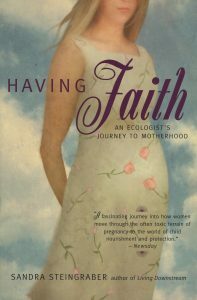 This week, as we close out Women’s History Month, and in anticipation of the upcoming Earth Day observance, we’re going to take a closer look at Sandra Steingraber. 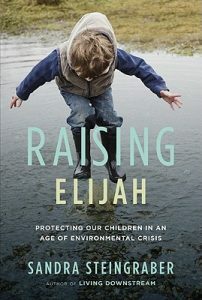 The Sierra Club declared that Dr. Steingraber was “the new Rachel Carson”. That’s quite a reputation to live up to! But because of her scholarship, her writing, and her activism, she has more than earned it. Dr. Steingraber was diagnosed with cancer while an undergraduate at Illinois Wesleyan University. While successfully recovering from the illness, she discovered many relatives who had also developed cancer. At first blush, you might think that was a clue to a genetic cause of the disease … except Dr. Steingraber was adopted! She did not share her relative’s DNA, but what they did share was a common source of water in an agricultural community. After completing her Ph.D. in Biological Science from University of Michigan, Dr. Steingraber was a field researcher, and began her own research and writing into her experience with cancer, and how chemical run-off from farms was polluting the local water supply. 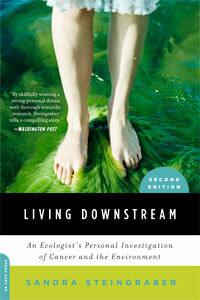 This became her first book on the environment, Living Downstream. Just as Carson had described her own battle with bladder cancer in Silent Spring, Dr. Steingraber used her experiences as a biologist and cancer survivor to inform her writing and research. The book would be widely praised for its’ academic rigor and deeply personal reflection. 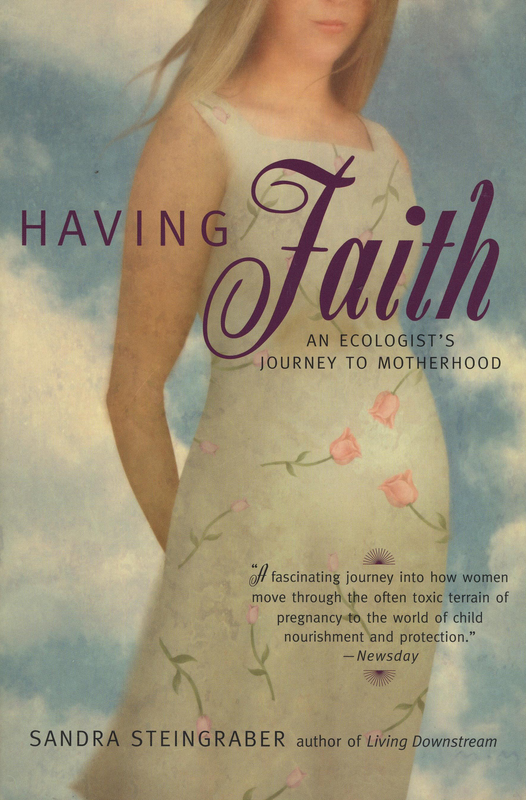 Her next two books, Having Faith and Raising Elijah, continued her research on environmental impacts on human health, in pregnancy and in the developing child, respectively. She continues to actively protest fracking and natural gas storage issues in her community, which has garnered her national attention and several nights in the county jail for civil disobedience. The many awards and recognitions Dr. Steingraber has received include the Heinze Environmental Champion award, the biennial Rachel Carson Leadership Award from Chatham College (Carson’s alma mater), Ms. Magazine “Woman of the Year”, and one of the “25 Visionaries Who Are Changing The World” from Utne Reader magazine. Let us know if you’d like to bring Sandra Steingraber to speak to your organization, campus, or conference!